OFF THE ROPES: THE RON LYLE STORY —Published for the first time in the United States, this is the highly-anticipated new edition of legendary seventies heavyweight Ron Lyle’s biography, by the late Candace Toft. 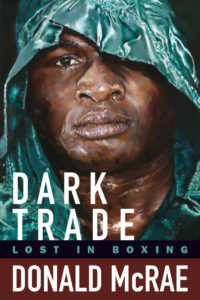 Features a foreword by Showtime boxing analyst and International Boxing Hall of Fame member, Al Bernstein. In a life as tough as his battles in the ring, Ron Lyle had already served hard time for second-degree murder before he started his amateur boxing career at the age of twenty-nine. After he turned pro, fans knew him as the man who had Muhammad Ali beat on the scorecards for ten rounds in a fight for the heavyweight title; as the man who fought George Foreman in a legendary brawl with four knockdowns that nearly saw Foreman knocked cold; and as the man who was arrested for murder a second time. Off the Ropes: The Ron Lyle Story is not your typical boxing biography, exploring not only the greatest era of heavyweights in boxing history, but also telling an equally compelling personal tale. We are an indie-friendly publisher! Please contact us for information about this title and about ways we can collaborate.